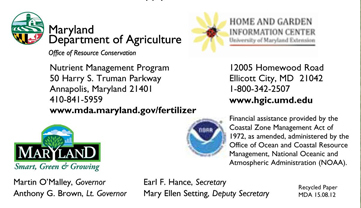 Fertilizer Business Licenses are Required by Professionals under the law going into effect October 1, 2013. 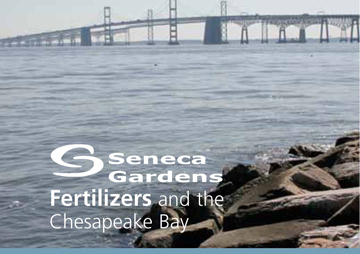 Seneca Gardens obtained its license and is in compliance with the regulations effecting everyone from farmers, municipalities, counties, commercial applicators, and home owners. 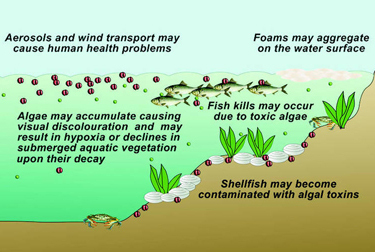 The new law is designed to protect the Chesapeake Bay from excess nutrients that contribute to explosive algae growth that rob the waters of oxygen. Algae block sunlight from reaching Bay grasses, robbing the water of their oxygen production through photosynthesis. With out that oxygen, or the plants that produce it, the Aquatic Life is dying off in large numbers. 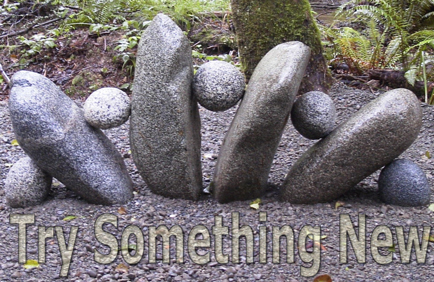 We need to be responsible with our use of fertilizers both as a company and as a homeowner. By following the regulations of the State Law and the recommendations of the Maryland State University we can enjoy a healthy Chesapeake Bay. And someday I can take my 22 foot sailboat out onto clear Bay waters of the Upper Chesapeake with the hope of an overnight stay, after a relaxing swim and then dinner of fresh caught healthy fish. 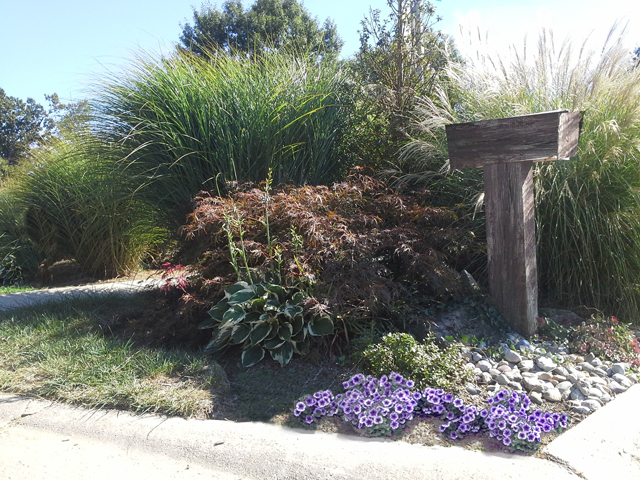 When it comes to Fall there are a lot of preparations that must be accomplished to maintain the health and appearance of your outdoor spaces. First remove all the leaves from the lawn. If you leave the leaves on the grass over winter it could very well kill the grass. 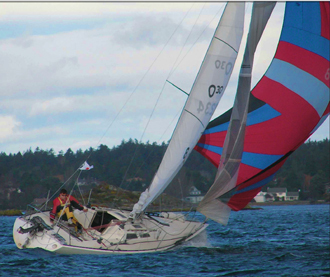 And Trying to remove them in the spring will be that much more difficult as they will be wet and matted down. 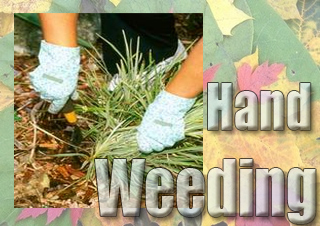 Next remove all the weeds from the beds as well as dead foliage from perennials. 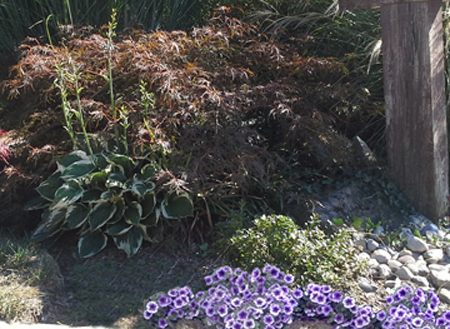 Remove any left over mulch from Spring as you will be adding about an inch of mulch for over Winter. 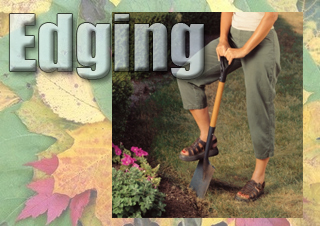 If your beds have natural edges these need to be freshened up with a square edging spade or mechanical edger. Next plant any Spring bulbs and Mums or Pansies. Pansies planted in fall will over Winter well and bloom again in the Spring. Finish with a thin layer of newspaper (optional) and 1" of shredded hardwood mulch. 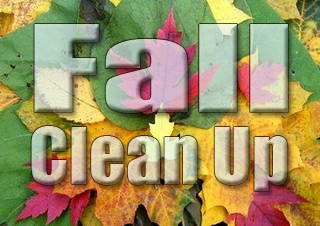 Gather your debris and leaves and add them to your compost pile. Prune any dead or diseased branches from trees and give all your trees a good last watering. And now would be a good time to empty any rain barrels and disconnect them from downspouts for Winter. Also shallow water features should be emptied and the pumps turned off and stored for winter. Nutsedge will be an issue this Fall. 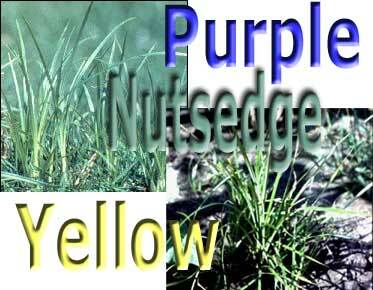 Purple Nutsedge is the most "common" member of the Nutsedge family in the Southeast. Yellow Nutsedge and Green Kyllinga are two other Nutsedge found in the South, though not as frequently. Nutsedge is a very difficult weed to control. They are perennial, grassy weeds and spread aggressively through their seeds, rhizomes (under creeping stems), or nuts (tubers). 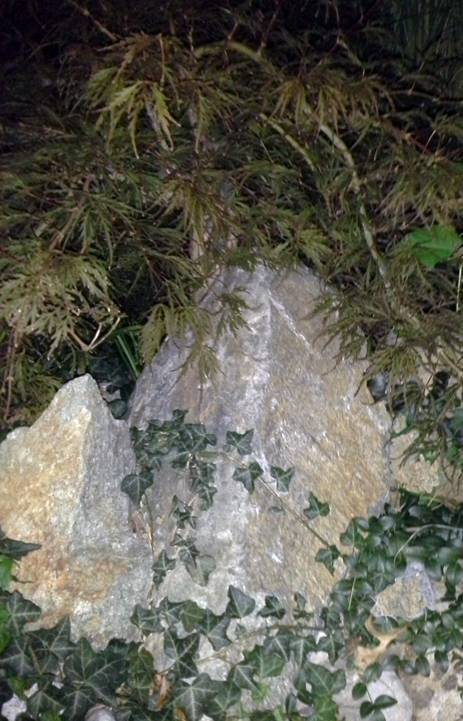 The underground "nuts" can lie dormant for several years, requiring an active vigil over previously treated areas. 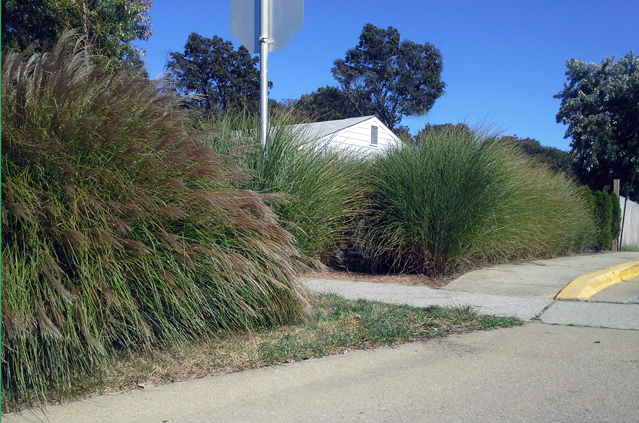 Small "invasions" can be effectively combated by digging out the offending Nutsedge. There is also a product available called "Manage" that can suppress Nutsedge in situations with large populations. This product applied in late Spring or early Summer will selectively control the Nutsedge after it has emerged from dormancy. In bad infestations a follow-up treatment of "Manage" may be needed later in summer for controlling potential re-growth. Over-Seeding is broadcasting about a pound of seed per thousand square feet onto an already established lawn. Golf courses over-seed in the Spring and Fall. 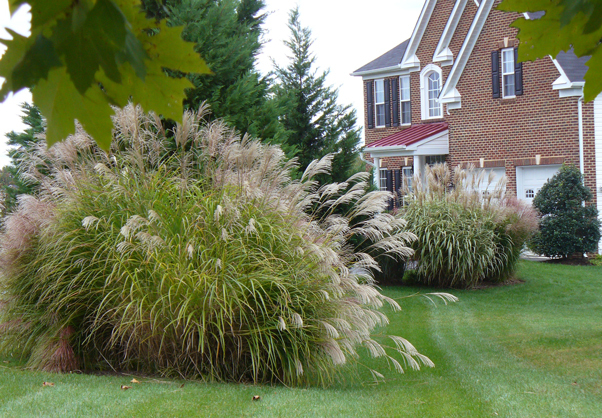 You need only over-seed in the Fall to replace any grasses that have died over the year. Nature does its own over-seeding at the end of summer when the grasses drop their seed. However your lawn is cut regularly so that the grasses do not go to seed. You must perform this renewal for your lawn or it will slowly depopulate. Over seeding when done in conjuction with Aeration gives you the best results. Most lawn care companies do not offer dethatching. Dethatching is time consuming and can produce as much as two pick-up truck loads of thatch. The method of collecting the thatch involves hand held rakes and tarps a labor intensive exercise. To remove thatch from a lawn requires a dethatcher or power rake, depending on the thickness of the thatch, between 2 - 5 passes with the machine and raking up the removed thatch between passes. The cost of having dethatching done by a company can run between $65- $145 per 1000 sq ft. depending on the thickness of the thatch. So if you had a moderate amount of thatch in a 5000 sq ft lawn your cost would be around $500. If that seems like a lot, well it is. One thing you can do to help is to Aerate every fall which will help air and water to penetrate the thatch making things easier for microbes to decompose the thatch. 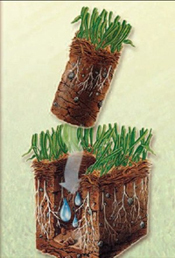 Another tip water heavily and deeply once a week - Watering frequently promotes surface root growth building up your thatch layer. A normal amount of thatch between 1/8" - 1/4" is preferred - Anything more should be removed as it is not letting water air and nutrients penetrate into the soil. If you feel your lawn needs dethatching you can rent a dethatcher and do the work yourself or call on the professionals. 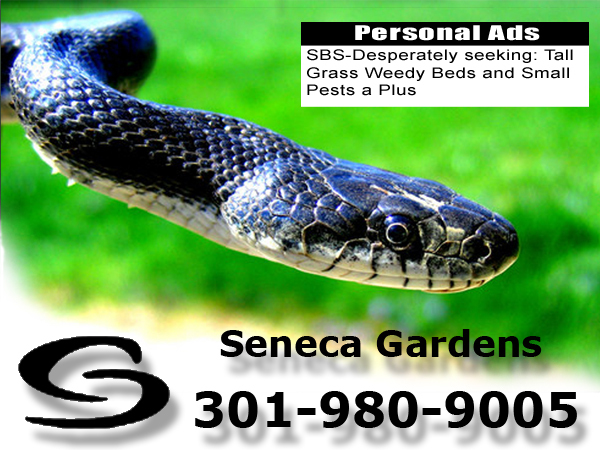 In Montgomery County MD Seneca Gardens can help.